Putter Length, Condition will change. 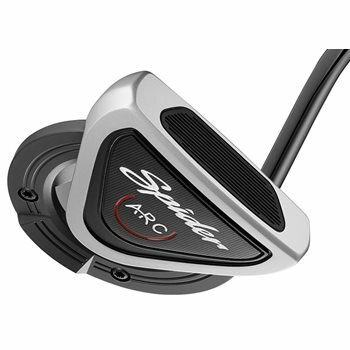 The TaylorMade Spider ARC putter features a lightweight aluminum body paired with a heavy stainless steel ring for TaylorMade's highest Spider putter. The unique ARC geometry allows for better True Path alignment and the Soft Surlyn Pure Roll Insert increases forward roll and distance control while three unique alignment aids helps you to hit your intended line with confidence.